To the lady at the gym…thank you! We’ve all had them, those days that you just want to give up. 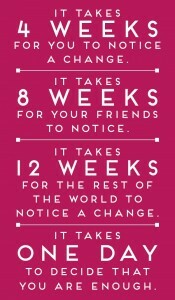 When we aren’t seeing immediate results from our hard work and figure what is the point of it all? I’ve been working out now for almost six months. I went through a phase where I was at the gym five to six days a week and there were a couple of weeks where I didn’t go at all. At the end of the day I realized that I needed to find a proper balance. For me that is three workouts a week and one workout which consists of the kid’s swimming lesson. You try holding a toddler and getting them to do what the instructor says. I swear some weeks that is the hardest workout! 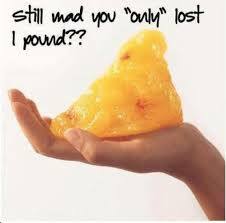 Lately the scale hasn’t been moving. I know I’m gaining muscle, the fancy shmancy scale at the gym tells me so but I want to see it in different ways. Last Thursday, I was wrapping my hands for kickboxing when a lady who was finishing up her personal training session came up to me and said, “I have to tell you that you look great, keep up the good work!” I was shocked and thanked the woman. She looked phenomenal and I let her know so. They say timing is everything. The night before I couldn’t sleep and I was thinking why am I doing all of this since nothing is happening and really why should I keep doing it? The lady, in essence a stranger as we’ve never spoken to each other before, did what we should do for each other, she helped to build me up. One of the toughest things I’ve learned being a woman is we’re the first to criticize, critique and bring people down. One of the lessons I’m trying to instill in my daughter is that we must help each other and bring each other up. Life is hard enough with the daily trials and tribulations, the least we can do is help one another. We all need a cheering squad on our side. I didn’t realize that sometimes our biggest cheerleaders are sitting on the sideline observing and coming in at just the right time. To the lady at the gym…thank you! Thanks for taking the time out of your busy day to build me up that day. I know many of you have seen this photo flying around especially as we’re newly into the year but it is a good reminder. I have friends who are marathon runners, other who swear by Zumba and others who should have been professional swimmers. My point is regardless of what works for you, taking the first step is very important but sticking with it is the most important. You have the power and control to change your life. 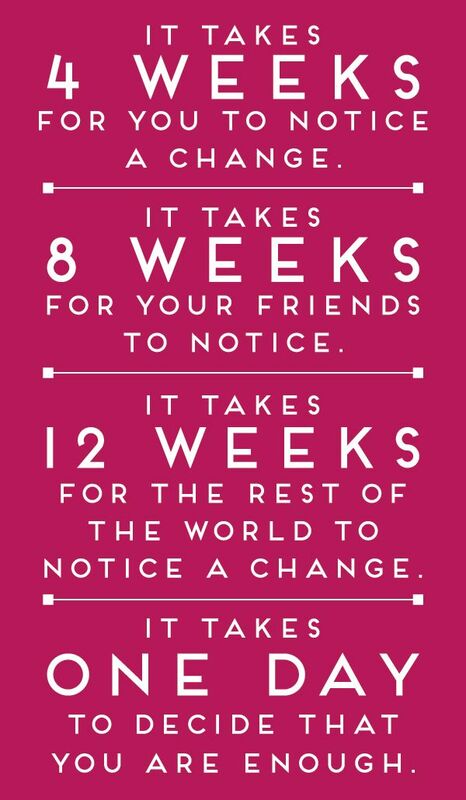 For some of you that may be healthy eating, for others it may be working out, for some it may be quitting smoking or drinking less, whatever it is that you’re working towards just remember it is one day at a time. A little ditty about Jack and Diane...no really in all seriousness I'm a daughter, sister, wife and mother. I'm a Greek-American, who has transplanted in Canada. As a first time mom I'm sharing some things as I go along. A year full of luck! Well its official my kid is the luckiest of all. 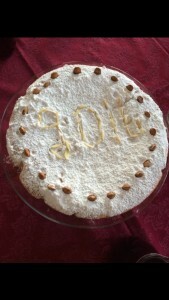 She was the one who received the coin in her Vasilopita on New Year’s Day and is granted a year full of luck! 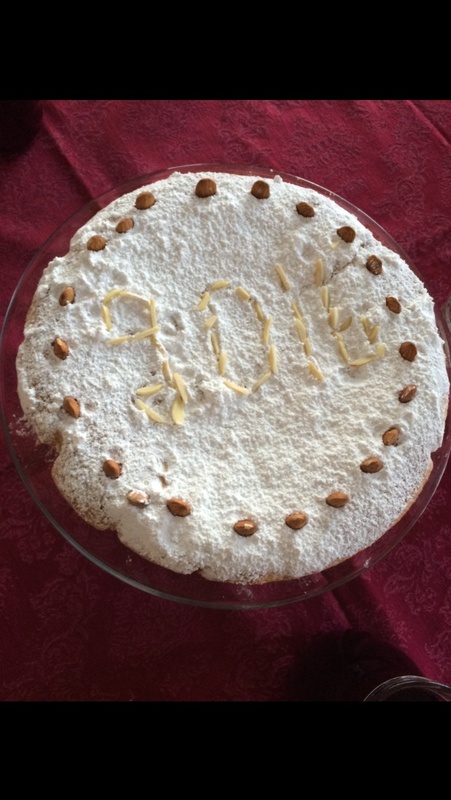 A big thank you to my mother in law for making another fabulously yummy vasilopita this year….’για στα χερια σου και του χρονου να σαι καλα! Our 2016 has started off well. We saw our first bitterly cold days this week, but the sun is still out and the major snow is staying away. I’m not sure what will be happening in April but for now, we’re good. I’m not one who is big on resolutions because I don’t think you should wait for once a year to make them. I believe in setting goals for every day, every week and every month. My goal for 2016 is to be the best that I can be. The best mom, wife, daughter, sister, aunt, etc. I may not always be perfect, let’s be honest who is? I want to be the best me. Go big or go home as they say! What are your 2016 goals? Are we living the dash? A Day of Love or a Hallmark Holiday? Belinda on Are we living the dash? Belinda on Seriously clothing industry?! Belinda on A Day of Love or a Hallmark Holiday?